A minister today needs caution when using unfermented grape juice and simply calling it ‘wine’ during a communion service. Participants may become confused, unless it is specifically stated that it is not the fermented type. They may know the term ‘wine’ is variously understood by different Christians (more so than other terms). Whatever the meanings of ‘wine’ – the Holy Bible itself does not use this particular term ‘wine’ (oinos) in reference to the Lord’s Supper. In every case, the Gospels only say ‘the fruit of the vine’ or ‘the cup’ (Matt. 26:27-29; Mark 14:23-25; Luke 22:17-18,20). Usually, translations are literal on this (NIV, KJV, NKJV, ESV, NASB, etc.) and so these avoid adding the term ‘wine.’ But the CEV is generally less literal in many respects – and so supplies the term ‘wine’ – which may confuse readers who are not aware this is certainly not literal. Unfermented juice has multiple advantages. To those who maybe have allowed alcoholic wine in communion, please consider these advantages. To be fair, I suppose that many of you never had any intention of being ‘anti-teetotallers’*. You never turned a blind eye when others tried to compel alcohol for lifelong abstainers, former drinkers, etc. The bread (unleavened) and juice (unfermented) both symbolically represent sincerity and truth – the uncorrupted spotlessness of Christ our “Passover”. (1 Cor. 5:7-8; 1 Pet. 1:19) But yeast makes juice ferment. It also makes bread leavened (though not intoxicating). At times, some churches have used any type of these available, not necessarily because they thought leavened bread and fermented juice were more ‘symbolically proper’. Do people who want to quit drinking need further temptations of fermented wine? Sadly, if their own churches use alcohol, then they may be reluctant to sign a teetotal pledge. So even a little alcohol is a roadblock. Do we not know what would be better for ‘whoever causes one of these little ones who believe in Me to sin…’ (Matt. 18:6)? G. Williamson, Wine in the Bible and the Church, p. 25 and Johannes Vos, The Separated Life, pp. 25-27 [Also quoted by Stephen M. Reynolds, 2003, The Biblical Approach To Alcohol, p. 129]. Consider another sad example against the converted alcoholics of a church in the indigenous community of Yarrabah, Queensland. The community was ‘dying from alcohol’. For a time, their Anglican pastors had to abandon their church and meet under a mango tree – since they refused to serve alcohol in communion. ‘Fruit juice for a dry congregation’, The Australian, 11 Nov. 1994, p. 4. The Standing Committee (of another diocese) has said grape juice should be available as of right, and not by concession from the Bishop, Parish Council or Minister. Sadly, some dioceses say only (alcoholic) wine should be available, despite the danger from alcohol. c.f. Report of the Church Law Panel, Sydney, Mar. 2001. 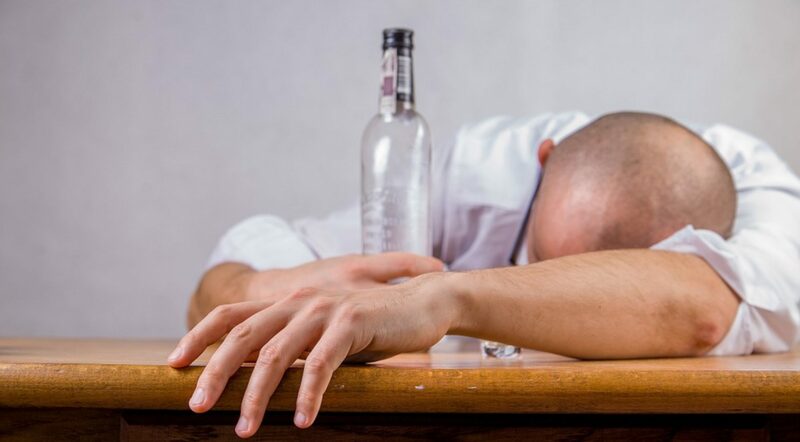 Should lifelong teetotallers (besides former drinkers) who want to partake of their own denomination’s sacraments be made to feel stigmatized for teetotalism, thus compelled to either request special permission for unfermented wine, or else find another denomination? Who will say the Bible frowns on teetotalism? A number of Christian denominations require all members to be teetotallers anyway and of course won’t use alcohol for the Lord’s Supper. For denominations with open communion, visitors from other denominations may not wish to partake if they are concerned it may be alcoholic. Permitting any alcohol on church premises could sometimes become a pretentious excuse to hold unrelated scandalous events, drinking parties on church premises. Indeed, Levitical priests who drank at all in God’s house were even threatened with capital punishment. * With clear minds, they could distinguish between the holy and the unholy (Lev. 10:9). Some denominations require consecrated elements to be consumed by the priest if they were unused. When attendance is less than anticipated, then a reluctant priest would feel compelled to drink more than desired. A priest may administer sacraments frequently, even for multiple services on the same day. If some alcoholic wine were unused each time, must the priest consume all that remains? A priest may become a bit concerned by the amount he is drinking. A pious priest may wish to quit using alcohol as a precaution. Must he request his superiors for special permission to use unfermented wine? Must he really require a doctor’s certificate before he actually thinks himself addicted already, or should he delay until he is addicted? Should children be introduced to alcohol earlier if they desire to partake of the Lord’s Supper? Subsequently, would this help adolescents withstand peer pressure from friends urging them to come to drinking parties?